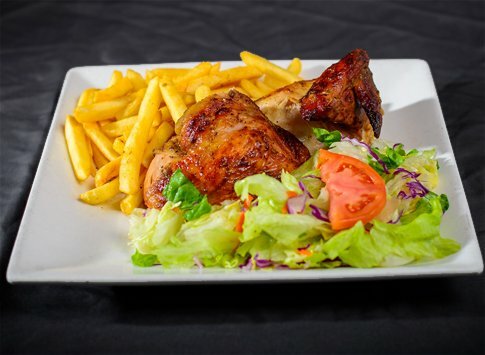 Peruvian rotisserie chicken marinated in a delicious blend of herbs, spices and citric juices. 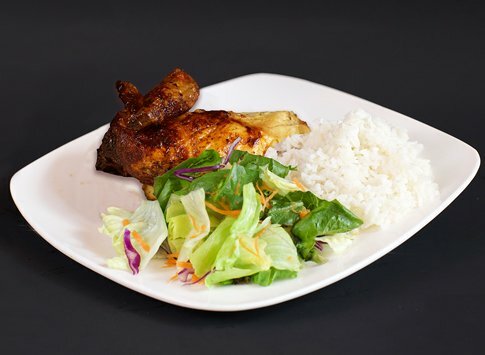 Served with cilantro soup and your choice of 2 or 3 sides. Either leg & thigh or breast & wing of our Rotisserie Chicken. Served with your choice of 2 or 3 sides, Cilantro Soup, and Aji hot sauce. 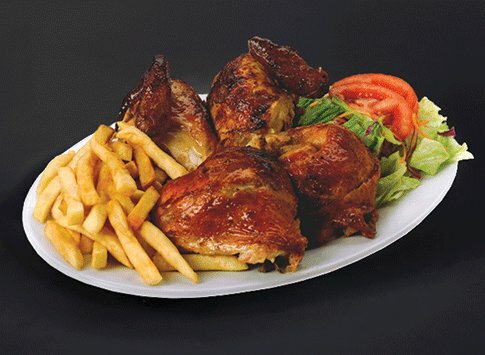 Our Rotisserie Chicken in its entirety. Served with your choice of 2 or 3 sides, large Cilantro Soup, and Aji hot sauce. Either leg & thigh or breast & wing of our rotisserie chicken. 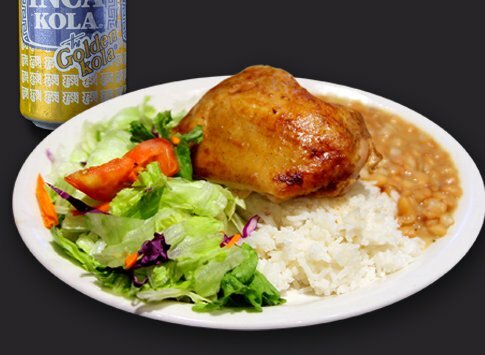 Served with rice, beans, cilantro soup, house salad & an Inka Kola. 2 Whole Chickens, 4 Sides, 2 Large Cilantro Soups, 12oz Aji (Green Hot Sauce), & a 2 Liter Inca Kola.